The United States has some of the most dangerous weather on the planet. The country experiences hurricanes, tornadoes, and blizzards. The country is also subjected to earthquakes and wildfires. All of these can be devastating to residences and businesses alike. Construction lawyers may be called in to negotiate contracts for the rebuilding of businesses and homes after disaster strikes. Forbes magazine has published some things that companies can do to keep their doors open after a storm, flood, or other natural disaster strikes. They note that these events can occur at just about any time. The impact these can have on an area can be devastating. The Small Business Administration (SBA) has been giving away funds for disaster recovery and relief for the better part of the last century. Their programs were started before the start of World War II. After Hurricane Harvey, the SBA got more than two thousand applications for loans to rebuild homes and businesses that were impacted by the storm. Talk to your creditors. Be proactive in reaching out to your bank or whatever financial institutions that you use for your loans and credit. You will not need a construction lawyer to help you here. The most important thing is starting the communications with your lenders so they know about your situation. Most lenders want to work with their borrowers and can make arrangements to put off your payments until you have gotten your business back in some shape to reopen and start making money again. In the case of Hurricane Harvey, at least 75% of lenders were able to work with the small businesses impacted to let them reopen their businesses. Look for loans that can help after a disaster. This is where the SBA can really help. They have two programs designed to help business owners who have been victims of a natural disaster. They have a loan program to help businesses with the bills they would be able to deal with if the disaster had not hit. They also have loans with a low-interest rate (4%) to help fix any damage done to the physical building. The agency lets businesses take out up to $2 million for both kinds of loans. You can talk to your financial institution about getting a line of credit to help you rebuild. If your bank says no to this, try a credit union. They are often more likely to say yes, especially when it comes to rebuilding businesses hurt by a natural disaster. Prepare by saving for a disaster. It is impossible to predict when a disaster is going to hit but you can be reasonably sure that it might if your business is in an area that is often hit by hurricanes or experiences tornadoes. Having some savings can do a lot to help you with your efforts to rebuild your business and take care of the day-to-day expenses such as paying your workers. Experts recommend having enough cash on hand to handle at least one month of the expenses of running your business. 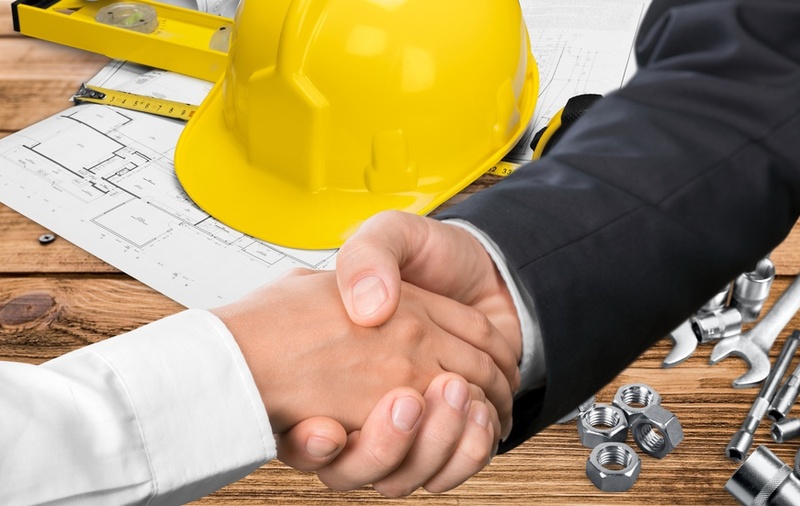 When disaster hits and your business has been damaged, you may need to bring in construction contractors to help you get things back together. It is helpful in times like this to talk to a construction lawyer about the contracts for the work you need to be done. Construction lawyers and lawyer for business owners can help you dot all the i’s and cross all your t’s with your rebuild efforts and get your business back open.